It’s been almost two years now since Kendrick Lamar released his third album, To Pimp a Butterfly. And while he did give us new music in 2016 in the form of the compilation project, untitled unmastered., we’re all anxiously anticipating what his fourth album will bring. It landed at No. 3 on our list of the most anticipated albums of 2017 back in early January. 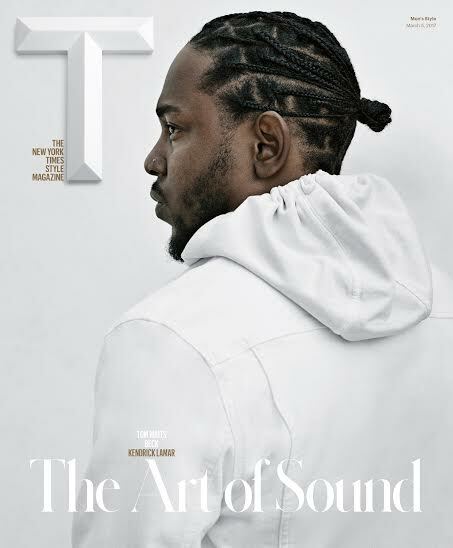 Kendrick appears on the latest cover of T Magazine alongside Beck and Tom Waits, and for his cover story, he touched on what his fans can expect from his as-yet-untitled next album. He didn’t let the writer of the story hear anything that he’s got in store, but he did talk about what he plans to address on the project. "I think now, how wayward things have gone within the past few months, my focus is ultimately going back to my community and the other communities around the world where they’re doing the groundwork," he said. 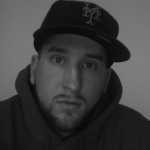 "To Pimp a Butterfly was addressing the problem. I’m in a space now where I’m not addressing the problem anymore. We’re in a time where we exclude one major component out of this whole thing called life: God. Nobody speaks on it because it’s almost in conflict with what’s going on in the world when you talk about politics and government and the system." Kendrick then referred to the album as being "very urgent" before attempting to explain himself further without saying too much about what he’s trying to do with his new album. He asked the writer if he has any kids, and when the writer said he has a daughter, Kendrick used that to explain his current line of thinking. "This is what goes on in my mind as a writer," he said. "One day, I may have a little girl. And it’s a girl in particular—funny you should say that. She’s gonna grow up. She’s gonna be a child I adore, I’m gonna always love her, but she’s gonna reach that one point where she’s gonna start experiencing things. And she’s gonna say things or do things that you may not condone, but it’s the reality of it and you know she was always gonna get to that place. And it’s disturbing. But you have to accept it. You have to accept it and you have to have your own solutions to figure out how to handle the action and take action for it." "When I say &apos;the little girl,&apos; it’s the analogy of accepting the moment when she grows up," he continued. "We love women, we enjoy their company. At one point in time I may have a little girl who grows up and tells me about her engagements with a male figure—things that most men don’t want to hear. Learning to accept it, and not run away from it, that’s how I want this album to feel." Unfortunately, that’s all Kendrick shared about the album for now. But if nothing else, it’s good to hear that he’s back in the studio and gearing up to release some new music at some point in the near future. And as we said when we dropped our most anticipated albums list, it "would be foolish to expect anything less than greatness" from Kendrick this time around. Stay tuned for more details on his next project. You can go here to read Kendrick&apos;s entire T Magazine cover story.